Width 30" - Also available in 18 inches and 24 inches wide. The Vario freezer has a large 4-star freezer compartment that offers all the conveniences of modern refrigerated storage. With electronic temperature regulation from -7F to -9F and an integrated ice maker for about 9 lbs. 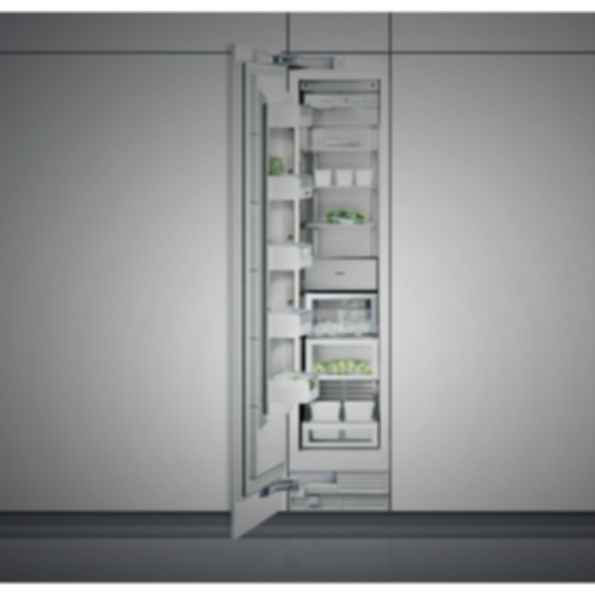 of ice storage, the freezer boasts the latest Gaggenau technology. In addition, thanks to no-frost technology, there is no need for tedious manual defrosting.